Above the Crust Pizza operates by the three pillars of success – service, quality, and technology. In the consistently strong pizza industry, Above the Crust allows its franchisees to stay competitive by providing resources on culture, training, financing, real estate, construction and ongoing support. 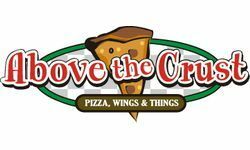 Above the Crust Pizza was established in 2014 and since 2016 has been under the ownership of Phyllis and Bill. Both hailing from the East Coast, we have brought our family recipes to make Above the Crust Pizza YOUR neighborhood pizzeria. We are proud to use only the freshest and finest ingredients in our cooking. We have created an atmosphere with our decor and outstanding customer service to make you feel as if we have invited you into our home. We serve you, our customers, the same food we serve our families – homemade daily, not processed and cooked with a lot of love, just like we had growing up. This year’s Pizza Power Report, had Above the Crust Pizza three pillars as its themes: quality ingredients, technology and the youth culture. Consumers are increasingly insisting on the freshest, healthiest ingredients, a trend driven largely by younger segments of consumers, who also demand the highest technology available to facilitate ease of ordering and delivery. Despite pizza on every corner and evolving approaches and consumer demands, the state of the pizza industry is strong. According to a Technomic study, 83% of consumers eat pizza at least once per month. According to PMQ’s 2018 Industry Census, 60.47% of respondents reported an increase in sales over the previous year. Internationally, pizzerias are thriving, with a five-year forecasted growth rate of 10.7%. These numbers tell us that there is room for a slice of the national pizza pie for Above the Crust Pizza. Above the Crust Pizza is the new player in the dynamic and ever-changing pizza franchise category. We live by the three pillars of success. Service, as we are a family run business, we have built our success on the foundation of Italian family values, service and hospitality. We will only grow with franchise partners who understand our culture family is the secret ingredient. Quality, we understand we will not compete with the $6-dollar pizza vending machines on every corner. Our product is fresh, made to order and made with the best ingredients in the industry. This is not a secret; our loyal consumers know it. Technology, we have embraced new ways of delivering the product to our consumers that were not available ten years ago. While we will deliver a pizza, most of our deliveries are done by a third-party vendor. With these three pillars as our guide we are poised to offer our franchise opportunities to qualified partners who share our pizza world view. Our franchise fee is $30,000. Our royalties are 5% and 2% towards marketing. We are looking for single unit operators and area developers. The benefits of being a franchisee of Above the Crust Pizza are as numerous as pizza toppings, and understood in any language. here are a few. Real estate, we have access to knowledgeable real estate professionals that can assist and guide in the franchisee search for the right location. Posizione, Posizione, Posizione. Above the Crust Pizza is listed in the Franchise Directory under the Food category. It's also listed in the section for Franchises Under $250,000.